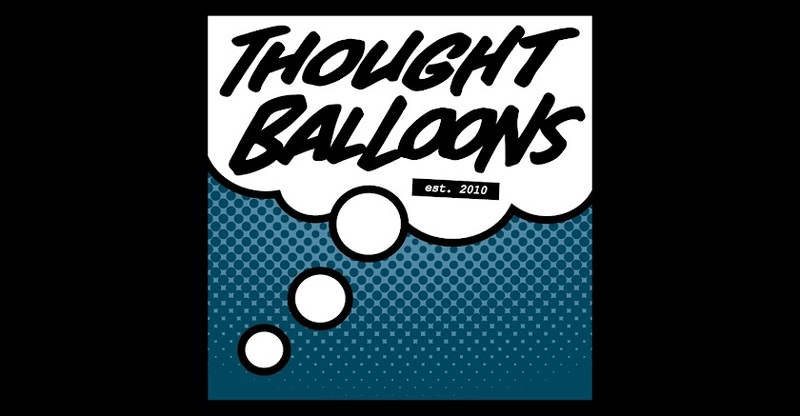 Thought Balloons - Creating Comics One Page At A Time: TIGER LAWYER – Vs. The Top Dog – MK Stangeland Jr.
TIGER LAWYER – Vs. The Top Dog – MK Stangeland Jr. Introducing: KAINE SAVAGE, the antagonistic counterpart to TIGER LAWYER! Where TIGER LAWYER is a tiger that is a defense lawyer, KAINE SAVAGE is a wolf that is a district attorney. And much like TIGER LAWYER, KAINE SAVAGE walks upright and wears a professional legal suit and, if possible, his tie should be colored the inverse of whatever color TIGER LAWYER’s tie is during the comic, presuming it changes color. Here, TIGER LAWYER and KAINE SAVAGE are dealing with the aftermath of the murder of a suspect that TIGER was defending and KAINE was hoping to get a deal with so that they would reveal information he thought the suspect had. Panel 1: TIGER LAWYER and KAINE SAVAGE are standing outside the door to the morgue as people pass by them. KAINE SAVAGE: Clearly, someone didn’t want to give him the option. TIGER LAWYER: I might agree, if I thought he was guilty. Panel 2: KAINE SAVAGE points at TIGER LAWYER. He has an upset look on his face. TIGER LAWYER looks annoyed with a touch of defensive. KAINE SAVAGE: You can drop the act, Tiger. Your client is dead, you don’t need to pretend he’s innocent. TIGER LAWYER: I don’t pretend. I know. Panel 3: KAINE SAVAGE bares his teeth as he tries to berate TIGER LAWYER. TIGER LAWYER isn’t having any of it. KAINE SAVAGE: Don’t give me that ‘animal instincts’ ©%@*. KAINE SAVAGE (2): You forget who you’re talking to. TIGER LAWYER: You don’t need to dog me about who I’m talking to. Panel 4: KAINE SAVAGE and TIGER LAWYER look like they might be on the verge of going at it. KAINE SAVAGE: You did not just go there, you overgrown tabby cat. KAINE SAVAGE: Don’t you forget that in this world, it’s the dog that always comes out on top. Panel 5: Close up as TIGER LAWYER and KAINE SAVAGE’s noses are inches away as they glare at each other. A sort of lightning effect might be present between their eyes as they glare angrily at each other. TIGER LAWYER: You want to go at it, you overgrown mutt? Panel 6: A man dressed in a suit is standing next to TIGER LAWYER and KAINE SAVAGE, looking extremely POed at both of them for their behavior and pointing to a door off-panel. BUILDING ADMINISTRATOR: If you’re going to fight, I suggest taking it outside! Panel 7: TIGER LAWYER and KAINE SAVAGE have stepped apart and trying to look nonchalant as they realize what they were just doing. There’s a clear sense of embarrassment that shows through their charade as they both realize how unprofessional they were just acting. The man standing next to them still looks upset and has his arms crossed in front of him. Kaine Savage is a great concept, the other side of the same coin that Tiger Lawyer comes from. The interplay between them is fun enough, however for me that last panel didn't have quite enough punch for me. It didn't end on the bang I suspected. Understandable. I think I looked at this page more as a character building piece, and I can't say I'm entirely pleased myself with the resulting script. A lot of it may have come from being more interested in establishing Savage without being entirely sure of how the story would go, but also wanting to be careful not to have either Tiger or Kaine overshadow one another lest I make it look like I was trying to pitch my own character at the expense of Tiger or downplay Savage too much and break the attempt to sell Kaine as being a legitimate antagonistic counterpart to the hero. One of the limitations of doing a one page script, but I on the other hand I could have done a lot worse with it, too. I really like the idea of Kaine Savage, and the first few panels seem pretty solid, but like Dan, I felt like the page lots a little steam as it went along. If you switched up the final moment for some type of comedic beat, I think this would read a lot stronger. That last panel does take some of the wind out of the page's sails (so to speak) but it's a solid page nonetheless.